As early as in the first quarter of 2018, Ukrtelecom may be re-privatized. However, it will be a Pyrrhic victory for the country as the government will have to pay a huge compensation to the current owner of fixed-line communication monopoly, Rinat Akhmetov. At the same time, the company will return to the state ownership as a robbed bankrupt: today we are seeing a full-blown sale ongoing of the company’s valuable assets. Ukraine’s telecommunications giant Ukrtelecom is almost back under the government’s wing. Another step in this direction was made on the New Year’s eve when the Economic Court of Appeal of Kyiv upheld the decision of the first-instance court handed down two months ago, terminating the sales and purchase contract on Ukrtelecom between the State Property Fund and the ESU company, which in 2013 came under the control of Ukraine’s wealthiest man Rinat Akhmetov. The company’s transition back to state ownership will be a low-profile matter, according to the acting head of the State Property Fund, Vitaly Trubarov. The state-owned Ukreximbank will simply re-register Ukrtelecom’s shares from ESU to the state. 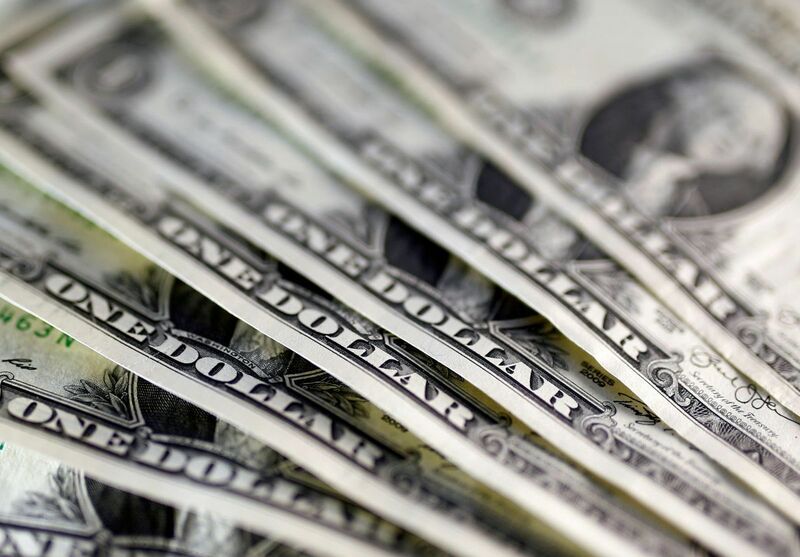 Simultaneously, $81.9 million in penalties will be collected from ESU for "non-fulfillment of investment obligations" and another UAH 243,200 of court fees. However, the SPF is in no hurry to establish operational control over Ukrtelecom even after the Court of Appeal’s ruling. "Ukrtelecom has 10 days to appeal, that is, to file a cassation. They have already announced that they plan to file one, and, perhaps, they already have. The beginning of the process of return [of a package of shares] before the decision of the cassation instance will create a number of procedural difficulties," the SPF press service told UNIAN in December 2017, specifying that, most likely, Ukrtelecom’s reprivatization will be finalized in the winter of 2018. Sudden developments around Ukrtelecom’s reprivatization emerged for a reason. After all, until now the authorities in general, and the SPF’s previous leadership in particular, have argued the opposite - that there are no grounds for re-privatization of the fixed-line telecom monopoly and that Akhmetov-controlled ESU is steadily and strictly fulfilling the investment obligations it has undertaken. "All this fuss around the idea to reprivatize Ukrtelecom… Okay, let’s reprivatize it! Then I ask: ‘Who will take responsibility?’ And everyone immediately starts avoiding eye-contact," Ihor Belousov, the SPF’s previous head, said more than ones when speaking with journalists. President Poroshenko did not intend to take Ukrtelecom away from Akhmetov, either. At one of the meetings with the deputies from the Eurooptimists Group, the president made it clear that he did not see any economic sense in returning the telecom giant to state ownership. "Earlier, Ukrtelecom was worth a lot of money, and now it's worth nothing because the technology has gone ahead," Ukrainskaya Pravda quoted Poroshenko as saying in the spring of 2015, citing its sources. We could only guess how sincere the president was. But it is very doubtful that the SPF leadership o in 2017, pretty much as the judges, acted against the will of the head of state. Quite the contrary – Poroshenko was and is aware of what’s going on. But still, why has the government decided to start the process of Ukrtelecom’s reprivatization right now? There are several versions on the market. For example, ex-head of the State Property Fund Oleksandr Bondar does not believe in the government’s serious intentions on the company return to state ownership. According to him, it is possible that it is a matter of light pressure on its owner in order to force Akhmetov toward certain concessions. "There are a lot of questions that go beyond the plane of privatization legislation. First and foremost, it is strange that no one saw any problems before. And now they suddenly open their eyes and see everything. Most likely, politics is involved here. Clearly, the moment came when they decided to use this argument to put pressure on the owner. Most likely there is some bargaining ongoing," Oleksandr Bondar suggested in a conversation with an UNIAN correspondent. 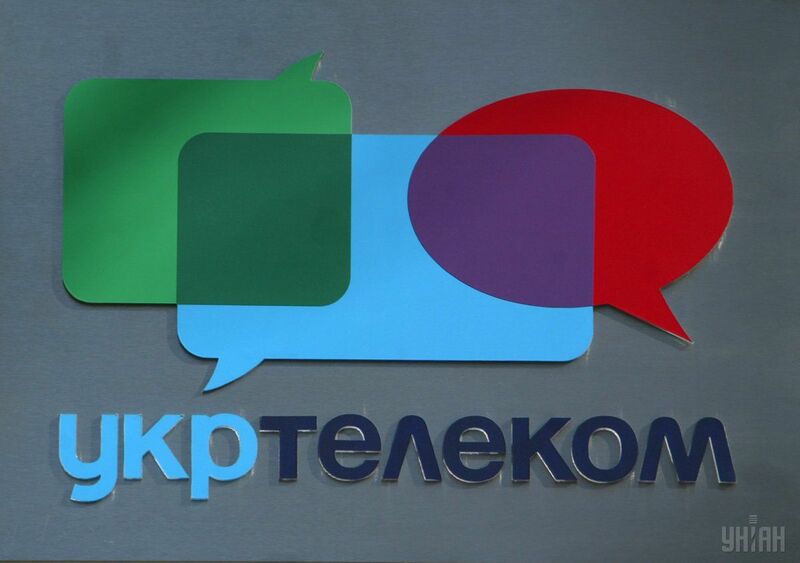 Another popular version among experts is that the authorities decided to take back Ukrtelecom because someone else close to the current government is now ready to pay for this company at least UAH 11 billion (such figure is chosen because the state may have to pay the company’s current owner, Mr Akhmetov, a relevant amount of compensation). There have been rumors on the telecom market for the past several months that the former head of the presidential administration, Borys Lozhkin, allegedly has set an eye on Ukrtelecom. However, Lozhkin had been ignoring these rumors. But, the most likely version is that the process of returning Ukrtelecom to the state harbor has started with the consent by Rinat Akhmetov himself. Firstly, it is quite possible that, in this way, the wealthiest Ukrainian, who has already covered his expenses for the company purchase by selling off its assets (real estate, land, and equipment), hopes to earn even more, by receiving a fairly solid compensation from the state. Secondly, as it turned out just a few days ago, there is a litigation in Cyrpus where Ukrtelecom’s previous owner who once sold the company to Akhmetov’s structures claims that the tycoon failed to pay for the telecom giant, so now the Donetsk oligarch is facing a solid fine worth hundreds of millions of dollars. 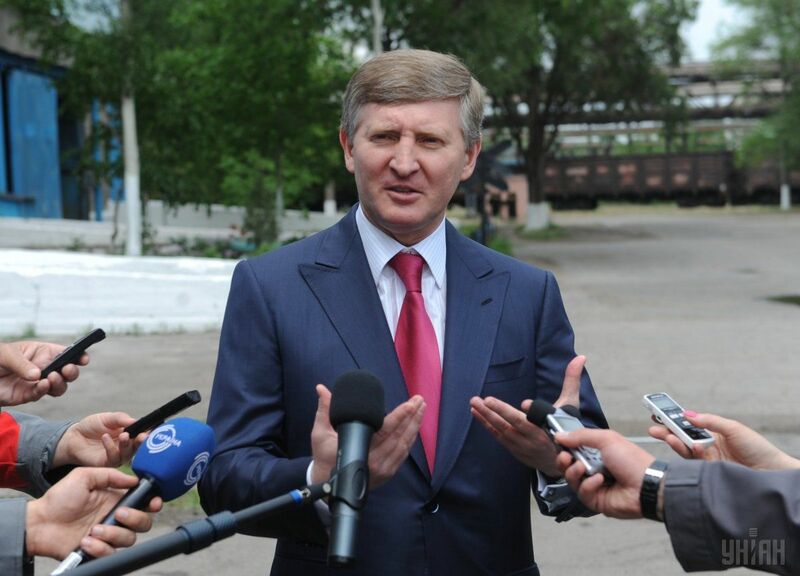 This version - regarding Akhmetov's interest in reprivatization - is indirectly confirmed by the extremely restrained reaction of the billionaire's business structures to the battles lost in Ukrainian courts: the SCM corporation managing his assets has not yet bothered to give any comment on the case, while ESU itself, the company owning Ukrtelecom shares which is part of SCM, together with the press service of Ukrtelecom, limited themselves to modest statements with similar content: the SPF’s claims are illegal. In order to comprehend the logic of Akhmetov's likely wish to get rid of Ukrtelecom, we should elaborate on the latest claims on the part of the State Property Fund to the current company owner. According to the audit conducted in February 2017, SPF experts suddenly found out that the buyer company ESU had not fulfilled its investment plan providing for an over $450 million inflow into Ukrtelecom the over five years. It was this circumstance that formally led the Fund's leadership to go to court and demand reprivatization. The Fund's arguments were so convincing that the court of first instance, and then the court of appeal, sided with the state. However, it is interesting to note that this information on the contractual condition regarding a $450 million investment was first voiced in 2017. Before that, no one spoke about it. Moreover, in 2014-2016 the SPF commission repeatedly audited Ukrtelecom, confirming the owner’s fulfillment of privatization obligations. The SPF did not change their opinion on the matter even after the members of the Special Control Commission on Privatization Issues conducted an investigation and found out that the privatization of Ukrtelecom had seen numerous violations. In particular, according to the conclusions of the parliamentary commission, the terms of privatization were initially spelled out to fit a single bidder - a hastily established company, ESU, which allegedly was the subsidiary of the Austrian-based EPIC Concern. With the help of a number of legislative restrictions, the authorities at the time cut off a large number of respectable bidders, including world-renowned companies. In the case of a competitive and fair auction, the deputies from the investigative commission say a strategic asset could be sold for at least UAH 18 billion [at a rate of UAH 8 UAH per dollar], or even more. But, in the end, Ukrtelecom was modestly estimated at only UAH 10.6 billion (although the estimated value of Ukrtelecon’s land and immovable assets alone exceeded UAH 15 billion) and sold almost for the same amount to a single buyer, LLC ESU. By the way, that report by the parliamentary commission could already have become grounds to start the process of returning Ukrtelecom – as it was in 2005 with Krivorozhstal steelworks (incidentally, the person of interest in the story with Krivorozhstal was also Rinat Akhmetov). However, there were simpler but no less serious reasons for reprivatization. For example, as it became known after the Revolution of Dignity, the so-called “Austrian investors” from the ESU had failed to pay the entire sum for the asset acquired. Out of UAH 10.6 billion, they transferred to the state budget only UAH 5 billion of their own funds, while the rest was borrowed from three financial institutions – UAH 1 billion in Delta Bank (already liquidated as of today), and UAH 2 billion – from the state-owned Oschadbank and Ukreximbank each. All loans were issued under Ukrtelecom bonds. That is, a certain private "investor", in order to buy a state-owned enterprise, took loans from banks owned by the same state on bail bonds of the company, for which it has not paid! "They paid almost UAH 5 billion at the expense of money taken from state banks. They took loans securing them with bonds. I wonder why Ukrtelecom buyers did not secure the loan with real property, property rights, as required by law, instead securing it with air?" said first deputy of the Verkhovna Rada Commission on Privatization, Ihor Lapin. It was he who headed the working group on Ukrtelecom in the Rada’s Special Commission on Privatization. He underlined that it should be high time for the prosecutor's office to find out the grounds on which state-owned banks issued billions of hryvnias in loans, which Ukrtelecom is still refusing to repay! Moreover, the company is fighting in Ukrainian courts with the state of Ukraine for the privilege not to return these debts, and their fight has been rather successful so far. The Economic Court of Kyiv on December 12, 2017, has already allowed Ukrtelecom not to repay part of its debt to Oschadbank worth over UAH 1 billion. Most likely, the telecom giant will in the near future see a similar decision on its debts to Ukreximbank. The deputies stated that the owner did not fulfill another two important investment obligations. Firstly, the so-called special communication line was never set up on Ukrtelecom’s base and then transferred to the state. Azarov's government allocated for this line’s set-up some UAH 220 million in the autumn of 2013. By the way, according to this fact, the PGO launched a criminal case in this regard right after the Revolution of Dignity. Later, suspects emerged - ex-President Yanukovych, former Prime Minister Azarov and ex-Finance Minister Kolobov, who, as the investigation opines, entered into a criminal conspiracy, and financed from the state budget the setting-up of a special communication line (initially, under the terms of the privatization deal, the new owner of Ukrtelecom was supposed to create this very "special communication line" at its own expense, and transfer it to the government’s management for free). But here it should be noted that the PGO first lost its case in a Spain’s court back in 2016, trying to have Kolobov extradited, and in the spring of 2017 it was also defeated in the capital’s notorious Pechersk Court, where accusations against the ex-finance minister were found groundless. Secondly, after the privatization, almost half of Ukrtelecom’s employees were laid off - of 74,000 people, by the end of 2014 the company had only 37,000 left. As a result, the Special Control Commission on Privatization following its probe made a decision as early as September 2015 calling on the Cabinet to initiate Ukrtelecom’s bankruptcy procedure, which would allow to introduce external management and to have it returned to the state ownership. 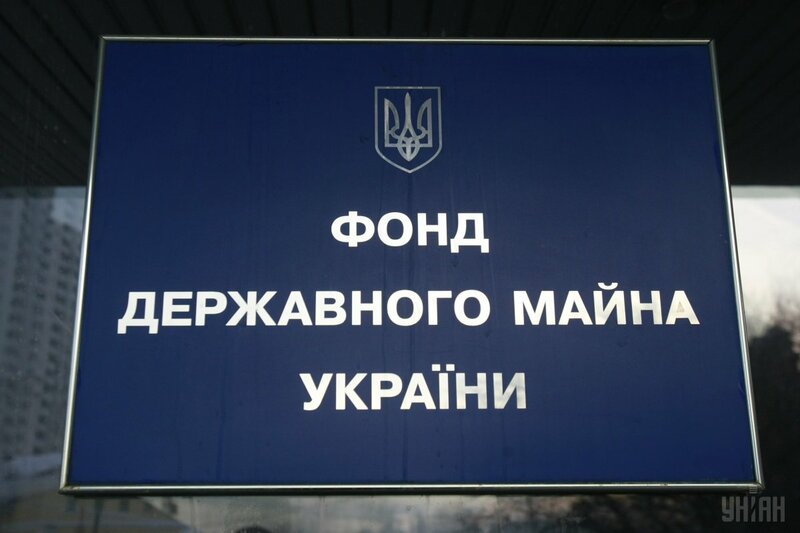 In addition, the deputies demanded that the PGO and the Security Service of Ukraine (SBU) investigate into all the circumstances of the company privatization, verify the owner's fulfillment of investment obligations, and probe the legitimacy of the issuing by state banks of billion-dollar loans secured by worthless bonds. But the recommendations fell on government’s deaf ears. Everyone back in the day was afraid of having to return funds to Akhmetov in case of reprivatization. "We will certainly be confronted with litigation worth a big sum that we won’t be able to pay. Whom will we sell it [Ukrtelecom] to for UAH 11 billion? We need a compromise," the then-SPF head Ihor Belousov was telling the media in 2016. Perhaps the lack of success in the investigations regarding Ukrtelecom is due to the fact that two key executors of the company privatization have not been interrogated yet. It’s ex-CEO of Ukrtelecom Georgy Dzekon and his friend Ilya Solodonikov, who was heading that mysterious company ESU in 2011-2013. 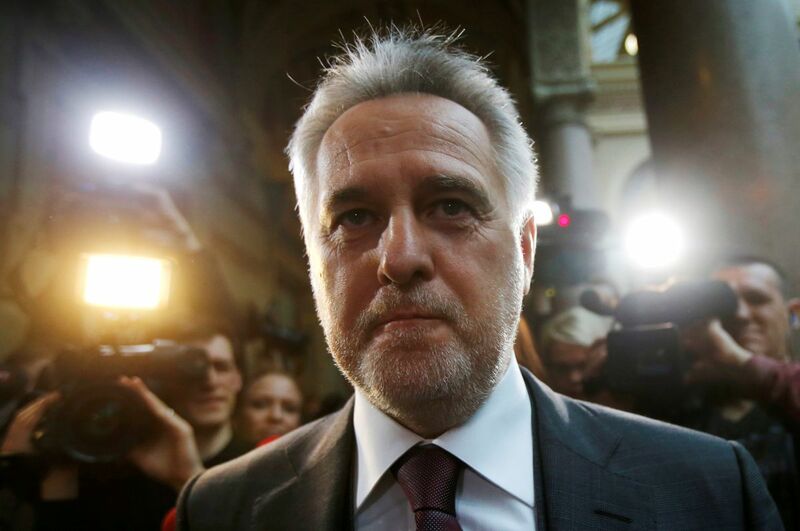 There should also be a brief note about the role in this whole saga of Dmytro Firtash, who has been hiding from American law enforcers in Austria. Last week, the Financial Times reported that the Nicosia District Court (Cyprus) decided to "freeze" $820.5 million worth of assets of Rinat Akhmetov and nine of his companies. The claimant is Raga Establishment Ltd, which, according to the Cyprus registry, was formerly known as Epic Telecom Invest Ltd (this company is connected with the real estate of Firtash's partner, Serhiy Lyovochkin in France). It claims that the shares of ESU (which, in turn, owns shares of Ukrtelecom) were sold to Akhmetov's structures for $860 million in 2013. However, the claimant says, the Donetsk businessman paid only about $100 million. According to the case materials, Akhmetov, while buying the ESU shares, was sure that he was acquiring them from Firtash (although the lawyers of Raga Establishment Ltd declare that Mr Firtash was merely a creditor of the ESU’s previous owners). How much will Akhmetov be compensated? "Since the privatization was held according to a separately adopted law, the state will not return money for Ukrtelecom," the main instigator of reprivatization, acting head of the State Property Fund Vitaly Trubarov states confidently. But first deputy head of the Rada’s Special Verkhovna Commission on Privatization Ihor Lapin assures the public that everything is far from being so unambiguous. The thing is that at the time of Ukrtelecom’s privatization, the law’s provision was in effect on compensation in case of reprivatization. "However, everything depends on a court warrant. If the SPF and the prosecutor's office prove that the privatization of Ukrtelecom was illegal, held without competition, then there will be no grounds for repaying money," Lapin told UNIAN. "This would be allowed by Article 228 of the Civil Code, which states that a transaction is considered void if it violates public order and is done for a purpose that is contrary to the interests of the state and public." But after all, if the transaction is recognized “void”, the money received by the state from the buyer, disappears nowhere from the equation! Many investment experts believe that there is a way for the state to avoid paying compensation if the reprivatization scenario is implemented. Meanwhile, specialist of the debt securities sales department at Dragon Capital, Serhiy Fursa forecasts really threatening consequences for the country's budget. "The trouble is that it may be necessary to return the money at the current rate, while Ukrtelecom was once sold for $1.3 billion. It’s not to mention the inflation that the court can include in the compensation amount ("the sum of inflationary losses"). At the current rate, this is much more than all revenues from privatization scheduled for the next year. And it’s the real profit of Ukrtelecom for a whole decade! And the penalty [$81.9 million that Akhmetov will have to pay if he loses ongoing litigations against Ukraine] will look like a banal tip in this case. It seems that people in the IMF will be shocked," Fursa wrote in his blog in October, immediately following the warrant of the first instance court. So no one really knows whether it’s the case or not, at least because we don’t know in what currency the amount of transaction was indicated in the original sales contract - dollars, hryvnias, or both. This is the main thing. And, secondly, Akhmetov bought Ukrtelecom not from the state, but from a private owner. And, although he could not but be aware that the privatization of the strategic asset was held under rather questionable rules, he himself did not enter into financial relations with the state of Ukraine in the context of the company’s sale and purchase. Therefore, there are legal grounds for demanding compensation for the alienation of property – if not in Ukrainian courts, then in international ones. However, the biggest problem in this whole story with the monopoly’s reprivatization is that the state, taking on other people's debts and, possibly paying a huge compensation from the budget to Akhmetov (who, perhaps, will also share a part of it with Firtash), will in return receive a company which has been virtually looted to the fullest. After all, as early as the autumn of 2015, the parliamentary Special Commission for Privatization during its probe found that Ukrtelecom’s owner was actively withdrawing assets in order to make quick profit without focusing on the company’s long-term development prospects. "Liquid real estate was transferred to controlled commercial structures at dumped prices with subsequent change of their purpose," the Special Commission said. At the time of privatization, Ukrtelecom owned 11,972 buildings, 6,118 structures, 1,079 storage facilities, and land plots totaling over a thousand hectares! It’s unclear how much has been left since then. It is interesting to note that with this reprivatization saga in 2017, the process of withdrawal of assets did not subside. Moreover, it accelerated. Ukrtelecom does not even conceal that it has started a big sale across the country. To this end, a special section was created on the company website, clearly indicating its name - "property sale". And this section says that Ukrtelecom has put up for sale or long-term lease almost 1,179 objects. No less valuable and liquid assets are offered for sale in Kyiv. It’s a total of 40 objects, among them - office buildings in almost every city district, most - in the center. For example, Ukrtelecom is ready to sell a large and beautiful historical building located in the center of Kyiv on 10 Volodymyrska Street. Its first floor is already being rented by lawyers and realtors. But once a solid buyer emerges, Ukrtelecom promises to have the premises vacated in a matter of days. It is obvious that developers will also be interested in the building on 11/15 Sophiyivska Street. By the way, it has almost been bought already. But the deal broke down because of the land plot: in order to change the purpose of the site and build a high-rise or office center, a permit needs to be obtained from the City Council. 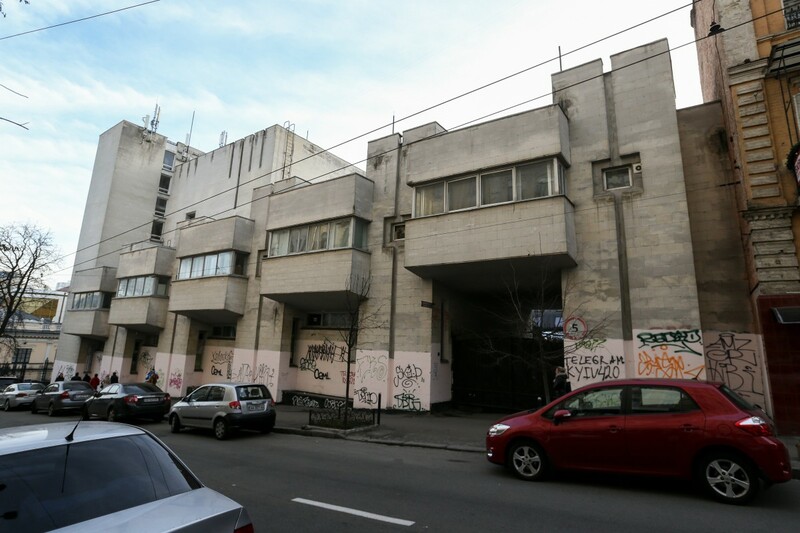 The situation is similar in relation to a beautiful five-story house, located on 4/6 Striletska Street, also downtown. Ukrtelecom’s supervisory board once had its headquarters here. Now there is not much of Ukrtelecom spirit left in it. The upper floors are already in the long lease, while the rest of the building is in an active search for tenants. Most likely, when a buyer comes up, Ukrtelecom will immediately sell it off. "Although I would not have bought such a building - the sewage system is rotten," the guard told an UNIAN correspondent, adding that some people had already made attempts to seize the building by force. But there are more interesting proposals! 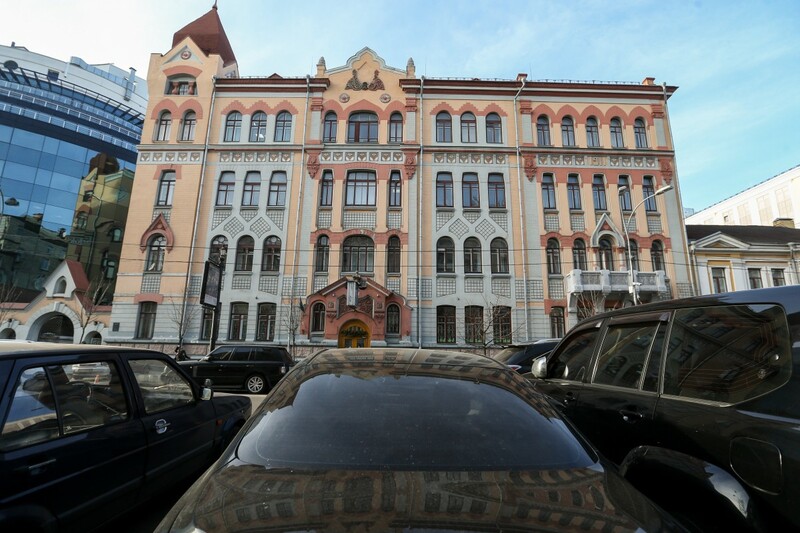 For example, a building located on Pechersk (23 Moskovska Street) or an office on 40 Antonovycha Street. Very valuable (because of the land plots) are also three recreation centers in Kyiv - Desenka, Desna-1, and Desna-2, located on the same street in Troyeschina district. There are rumors that developers are already interested in these sites. However, it’s not only buildings and land that are put up for sale. Soviet-made equipment, formerly used by the company and rich in non-ferrous and precious metals, has long been put up for utilization. For example, the Rada’s Commission told UNIAN reported that in early 2015, the fact was established of the dismantling and sale of three analog telephone stations and copper cable worth UAH 237 million - that was almost half of Ukrtelecom’s net profit in 2015. Of this amount, the lion's share falls on the sale of copper cable. But the auction sale of telephone stations looks ridiculous. The question is - who needs three old stations? It turns out that many people need it - again, because of the metals that their equipment is stuffed with. According to the documents, these three Soviet-style stations were sold for UAH 5 million. If we calculate the market value of colored metals available there - and one station could have up to 6.4 kg of palladium, 48.4 kg of silver, 191 g of gold, 3 tonnes of copper, and 84 kg of aluminum - the net price of scrap from a single station will be at least UAH 4 million. Experts even calculated that from recycling of old automatic telephone stations, the current owner of Ukrtelecom can get at least UAH 3 billion! Besides, recycling of no less valuable telegraph equipment is on the way, and no one will know definitely how much Akhmetov will make here. 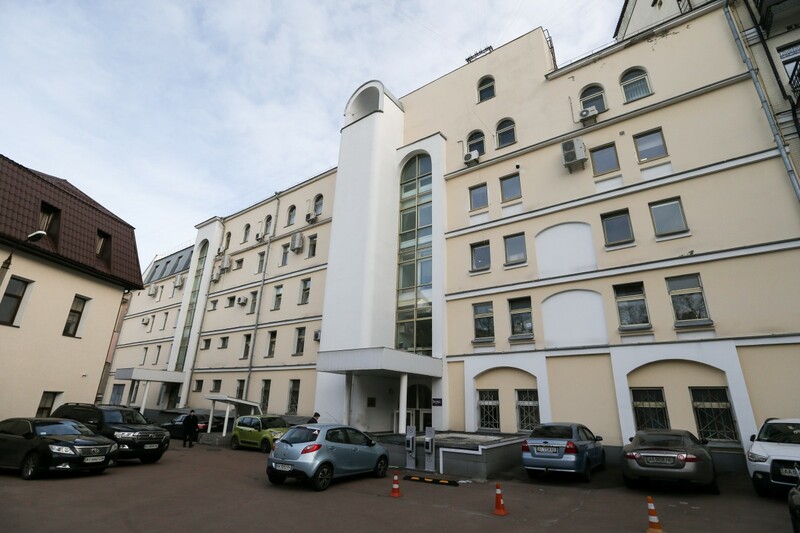 But, if the mass sale of real estate can be explained by asset optimization, while the recycling of old equipment – by the need to find money to buy the new one, the persistent attempt to sell a Russian MTS subsidiary company TriMob with a mobile communication license seems to be illogical from the business perspective. The thing is that Ukrtelecom is rapidly losing fixed-line subscribers - now there are about 5 million of them, even as early as in early 2013 there were more than 9 million. In the field of providing internet access, Ukrtelecom's income does not grow either, because a subsidiary with an already obtained, and expensive, mobile communication license looked like a promising asset that could ensure the company future. But, imagine this: at the beginning of 2016 Ukrtelecom submitted an application to the Antimonopoly Committee for the sale of TriMob to a mobile operator with Russian roots, MTS-Ukraine, for $120 million. This transaction on the sale of the most valuable asset was blocked by the State Property Fund together with the Prosecutor General's Office. But - for how long? Finally, in addition to the equipment rich in precious metals, now Ukrtelecom is also actively selling its multi-meter steel masts and towers across the country (which could house cellular antennas and which, in fact, Ukrtelecom previously rented to mobile operators for good money). The conclusion is obvious - the current owner clearly has neither plans nor desire to develop Ukrtelecom. Including, to invest that $450 million, which is what the State Property Fund requires. Therefore, for several years Akhmetov's managers have been thoroughly selling off the company, turning it into a dummy. Thus, the idea to return the fully-extricated Ukrtelecom to the state, also having achieved a decent compensation for it, is just a way to make profit twice on the state of Ukraine and its taxpayers. Another thing is why the state, once it decided to go for the seizure of Ukrtelecom from Akhmetov, does not establish operational control over the company’s economic activities before the courts make a final decision, and does not interfere with the grand sell-off. Is it possible that the SBU and PGO, which are dealing with the cases of the former state communications monopoly, don’t see what it’s all heading to? Is the inaction of law enforcers in this matter not noticeable for those to whom these law enforcers are accountable? ... We all know perfectly well who we are talking about.